Above: The Iron Cross is just above the Col sign. 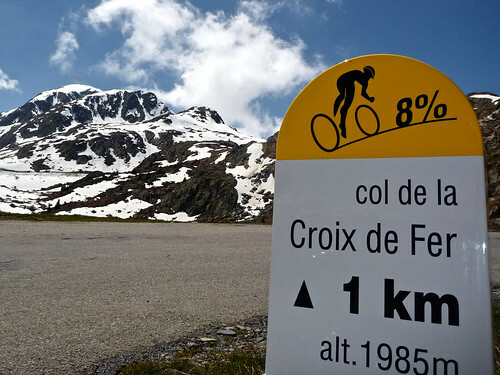 Col de la Croix de Fer (Pass of the Iron Cross) has appeared 16 times in the Tour de France (first in 1947). 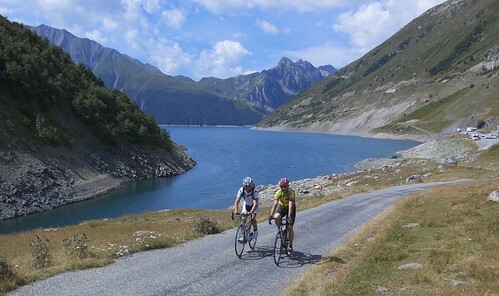 It is in the middle of one of the best cycling regions in France linking the Oisans (eg. 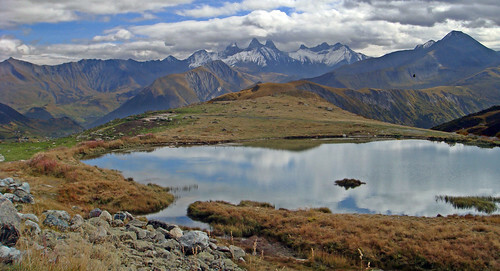 Alpe d’Huez) with the Maurienne Valley (eg. 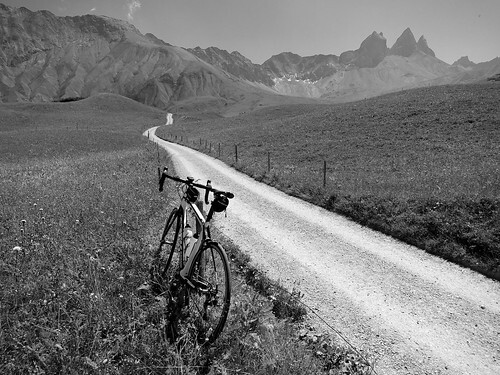 Galibier). 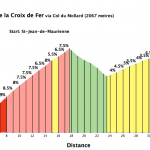 Here is a map and details of five ways up the fabulous Croix de la Croix de Fer. 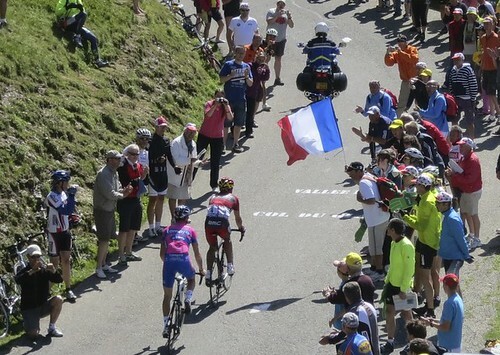 A big climb with two long steep stretches and two descents. 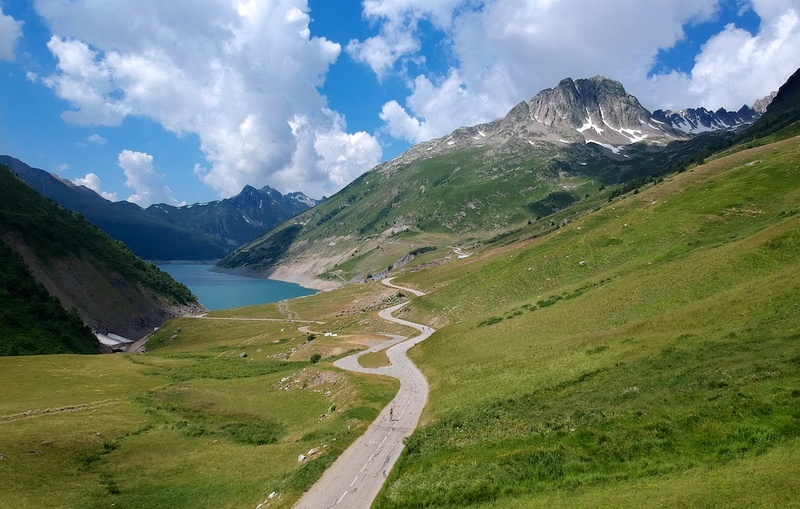 It gets easier near the top as the route passes the beautiful Lac de Grand Maison. Details here. 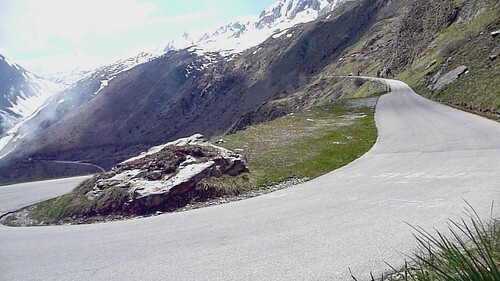 This side is the first climb in the famous La Marmotte cyclosportive – although it descends Glandon (details of La Marmotte here). This is my favourite way up. 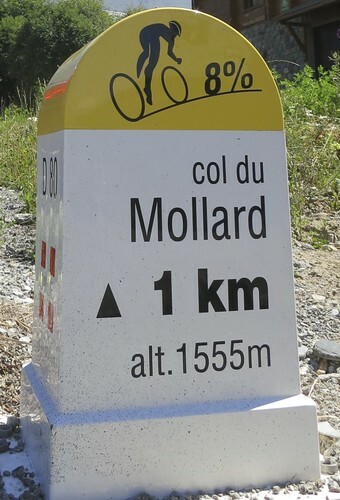 Col du Glandon is on the shoulder of the Croix de Fer route. 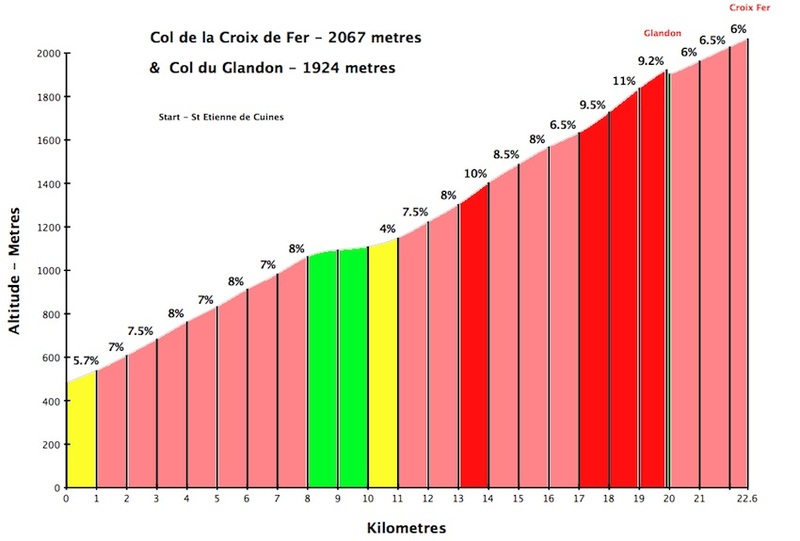 It is a 19.9 kilometre climb to Glandon. 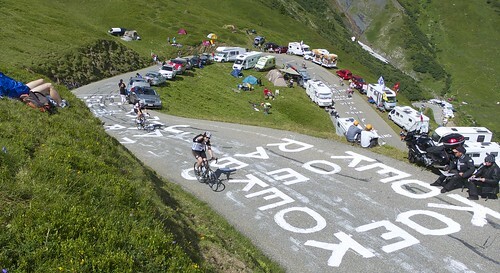 After a short 200 metre descent, the road joins the west side of Croix de Fer for the final 2.5 kilometres. More details here. Probably my least favourite, at least the lower part. A little bit more traffic early on, and three (well-lit) tunnels. 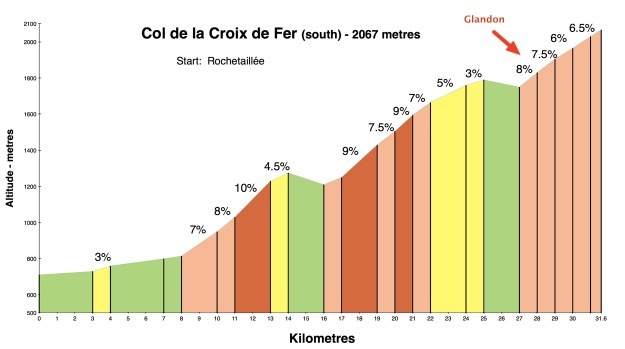 But don’t get me wrong, it’s still a fabulous climb (I cycled it yesterday). 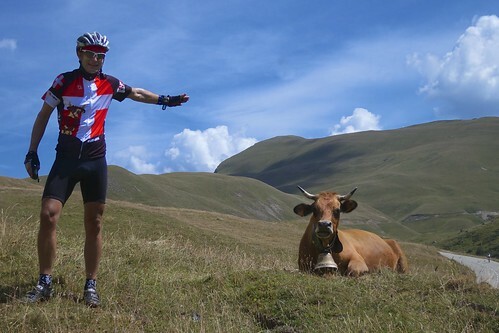 The fun part of the west side (also part of routes #4 & #5) is the final 6 kilometres above the ski station St-Sorlin-d’Arves. 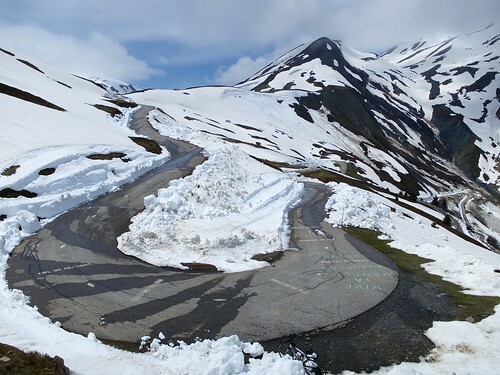 High mountain hairpins! Note: there is an 8 kilometre variation to this route. 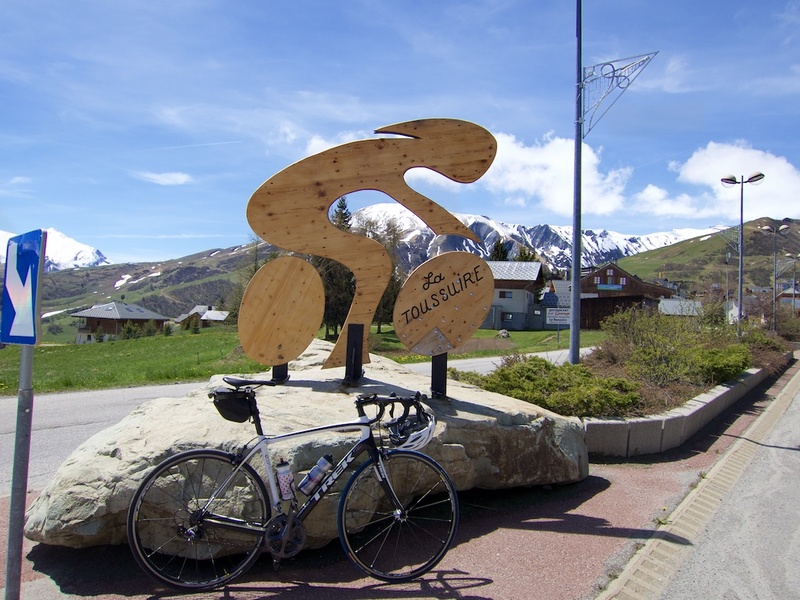 Just after the three tunnels is a right turn signed as “St-Sorlin-d’Arves & Panoramique” that passes above the main route. It’s quieter and indeed more panoramic. It’s marked as light blue on the map above. Recommended. 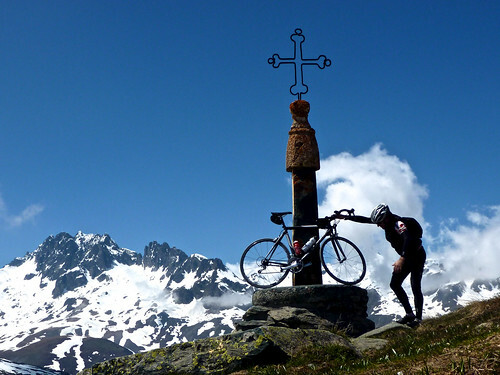 Combining Col du Mollard with Croix de Fer makes for a huge beautiful ride. 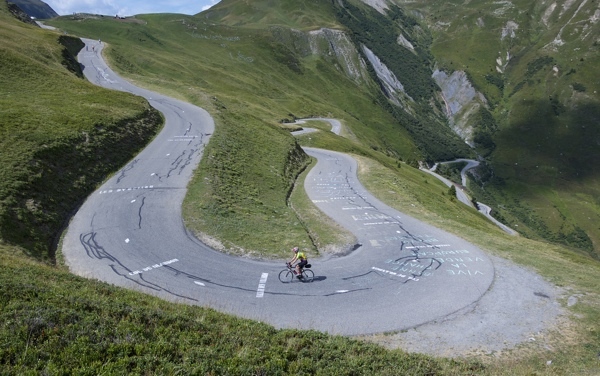 The purple route starts with literally dozens of hairpins that wind up through a forest – fun. 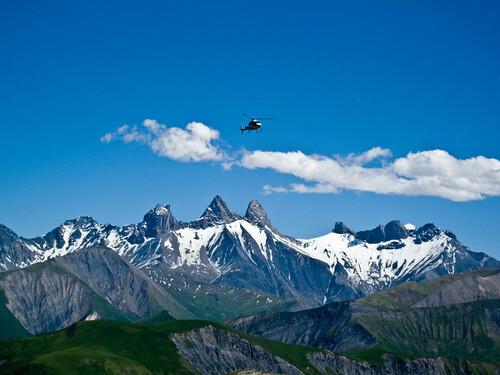 The summit has wide open views of mountains in all directions. 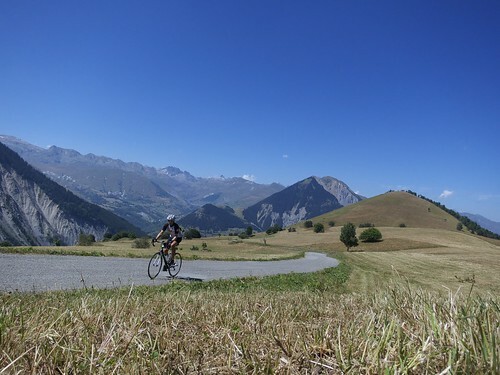 After a 7 kilometre descent, the route joins the classic west side of Croix de Fer at Belleville. 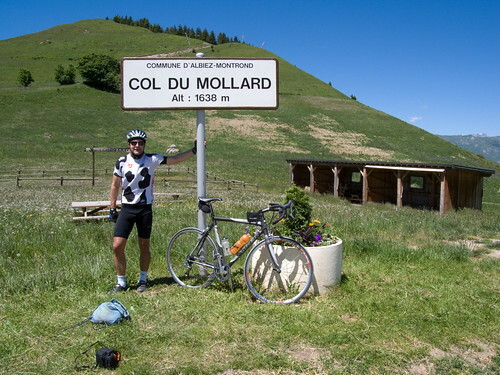 A completely different second way up to Col du Mollard. 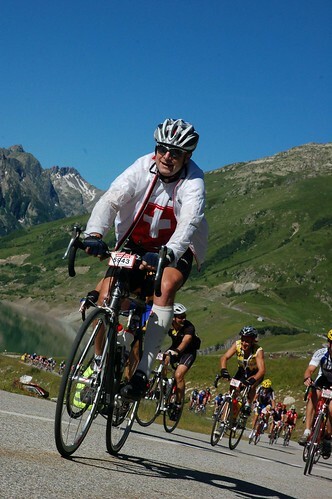 The route starts down low in the valley between the two cols. 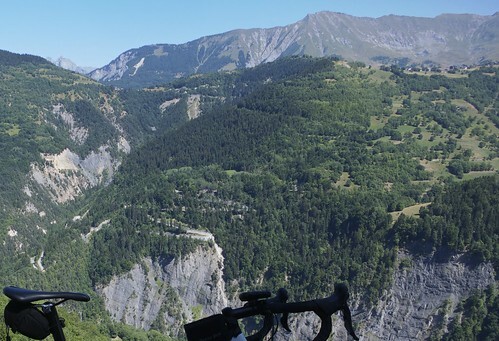 It then climbs out of the valley on some great hairpins. Very quiet and beautiful. 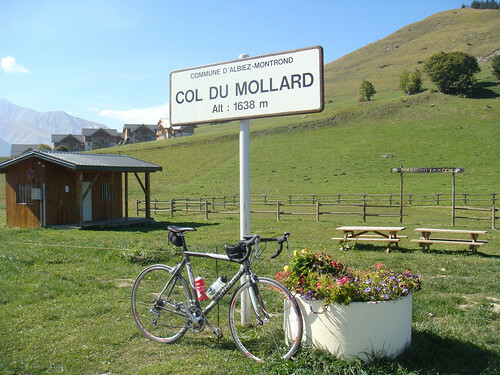 Again, at Col du Mollard there is a 7 kilometre descent and the route joins the classic Croix de Fer road at Belleville. 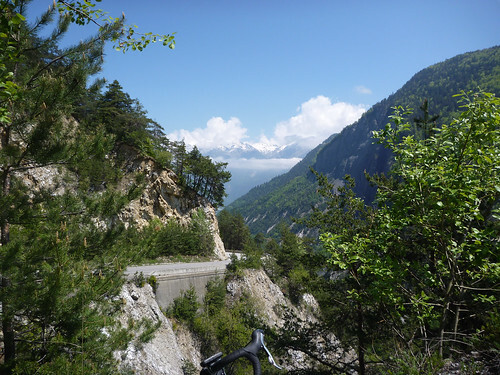 In the following link, after Mollard, instead of linking up with Croix de Fer I climbed higher on a little known steep road that heads well above Chalmieu. Superb. Details here. EDIT: I’ve added a 6th route to the map. 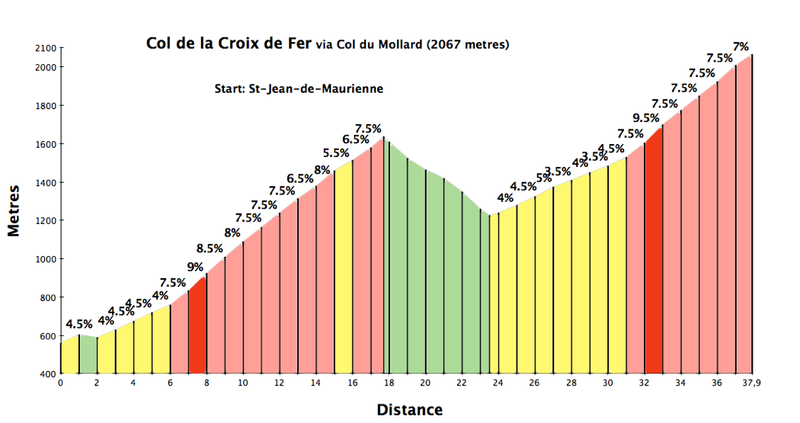 This climbs first to La Toussuire ski station then descends to join the main blue route from St-Jean-de-Maurienne. 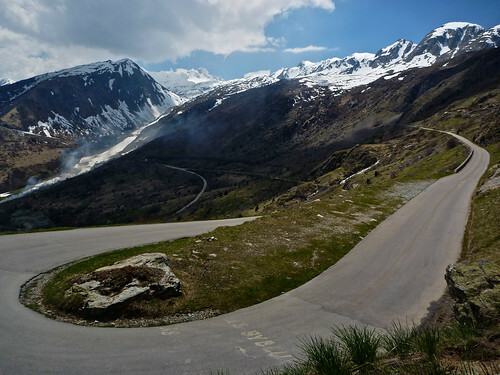 It also descends Glandon and closes the loop by returning on the valley floor. Details here. 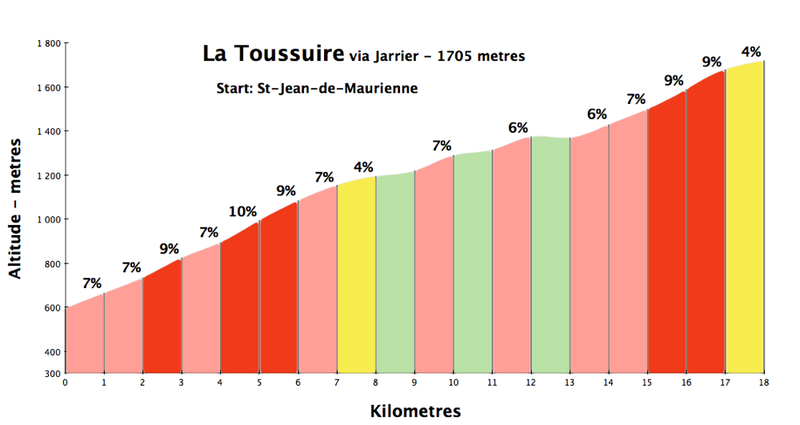 The profile is just for La Toussuire. 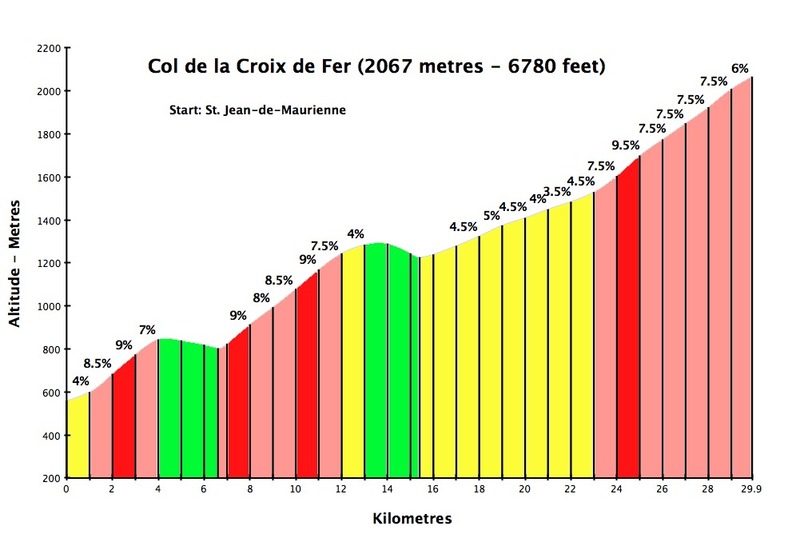 The Croix de Fer profile is described in the link but is basically the blue route less a few kms. Hi, great guide, do you know if the West side route is open yet ? 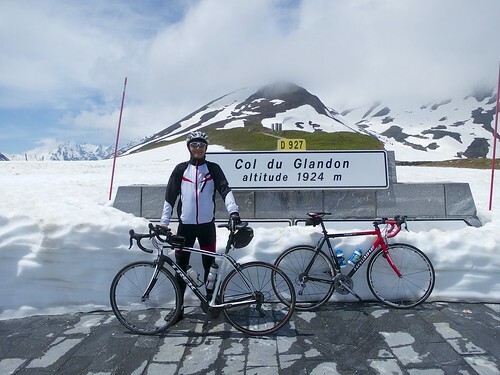 I saw the Glandon is currently closed – does is affect this route ?